Kelly White kicks used needles to the side of the path where she walks to work in Toronto’s east end. Nearby, she can see people tucked behind cars, in alleyways, and even out in the open using drugs at all times of the day. White is one of four front-line workers at an overdose-prevention site in the Moss Park neighbourhood at the crossroads of Sherbourne Street and Dundas Street East. 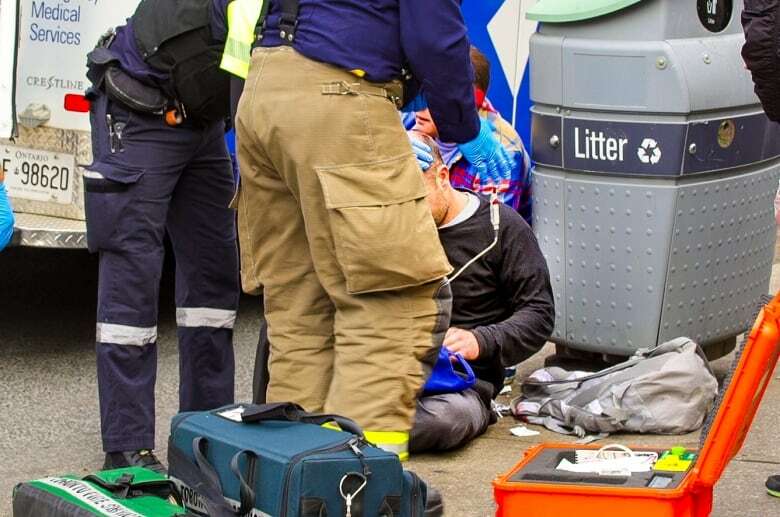 The temporary site is operated by a non-profit organization called Street Health, which provides nursing care and harm-reduction services from 11 a.m. to 4 p.m. Monday to Friday. Every day she hopes to bring drug users off the streets and into safer spaces, where they can use under the supervision of both medical professionals, and support workers like herself who have been trained on the job. But unlike safe-consumption sites, which are permanent and offer a wider range of support, overdose-prevention sites across Ontario were emergency, pop-up solutions to an escalating crisis that were never meant to be long-term. In December 2017, Health Canada announced that it would allow temporary prevention sites like Street Health’s to operate across the country. The sites were given limited provincial funding for up to six months. But White says sites like hers are understaffed and under resourced given the size of the crisis they face. As a result, the job can be stressful and demanding for those who work there. And when it comes to dealing with the mental toll of being on the front line of an opioid epidemic each day, workers like White say it feels like they’ve been left to help others without much help for themselves. Although the Ontario government recently announced a new plan to replace existing overdose-prevention sites with more permanent safe-consumption sites, it’s not clear that it will provide any more support for front-line workers. White was one of the four original workers at the volunteer-run Moss Park tents that popped up last summer during a spike in overdose deaths. She has seen the devastation the Toronto community has faced with the continued loss of life to unsafe drug use. Since the Street Health overdose-prevention site opened at the end of June, White said it has helped over 500 users by giving them access to a safe space and clean supplies. As the co-ordinator of the facility and one of the hands-on workers tending to clients, she’s also responsible for greeting visitors, prepping tables and responding to medical emergencies. Workers like White respond to overdoses daily, and some of the losses have been personal. Holding back tears, she talks about her frustration and the difficulty of taking on an avalanche of problem that she believes requires more government intervention. Data from the federal government shows that, on average, more than 11 Canadians die because of opioids each day. In Toronto alone, more than 300 people died of opioid overdoses in 2017, and the city has recorded 120 suspected deaths this year. Street Health has extended comprehensive benefits coverage to overdose-prevention site staff so that that they can get coverage for things like prescription drugs and dental care, White said. Not all front-line workers are as lucky. In lieu of more comprehensive support, a GoFundMe page was set up to support staff at other Toronto area sites. The donations can be used toward massages, counselling, and acupuncture, but donations can only go so far. “I’ve lost people to overdose, and one of the hardest parts is that people are not talking about this. … We need to bring things out of the shadows,” White said. She has tried to hold daily briefings to help process what staff witness. She said some days they barely have time to debrief because the demand to meet client needs is so high. “One of the more difficult things here is that the work is so precarious. We’re only funded for six months,” she said. Funding for Street Health’s overdose-prevention site ends Nov. 30. Last month, Ontario Health Minister Christine Elliott announced that it is capping supervised drug-consumption facilities at 21 sites province-wide, and will spend just over $31 million a year to fund these sites. But how these sites will be distributed across Ontario is unknown. Also missing from the new model is any mention of support for front-line workers. 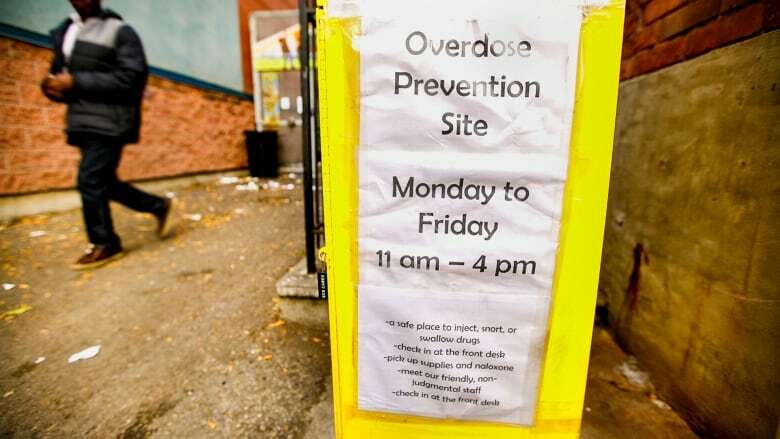 The current overdose-prevention sites will be expected to re-apply under the new provincial model to become permanent supervised-consumption sites, and White fears that will force established overdose-prevention sites like Street Health to compete for one of the limited spaces. “We are currently worried about losing the flexibility, responsiveness, lack of bureaucracy and red tape, and client-centredness that we have worked hard to maintain,” White said. Steady funding would allow Street Health to hire more staff, and perhaps operate more than two stations for safe drug consumption. It would also allow a facility like Street Health’s to be open more days — like weekends — and later at night. One health industry expert suggests that going a step farther and putting safe-consumption sites under the umbrella of the Canadian health-care system would alleviate some of the stress that front-line workers experience, and provide them more help. Paul-Emile Cloutier is the CEO and president of Ottawa-based HealthCareCAN, an association representing health-care providers in Canada. ​He says that if front-line workers burn out, the health-care system would be there to take care of them. Cloutier says the injection site in Ottawa on Murray Street receives over 45,000 patients a year and cares for about 135 people a day. He says this safe-consumption site deals with about four to five overdoses a day.